Tonight I went to a dinner meeting sponsored by the Greater Capital Association of Realtors® (GCAAR) and hosted by Jane Fairweather. Top real estate agents in the local area were invited to attend a briefing by some of the leaders of the various national, state, and local political action committees for the Realtor® associations. I won’t cover the specifics of the meeting in this blog; however, there are many significant legislative initiatives working their way through Congress that could have “catastrophic” impacts on housing if passed without modification. 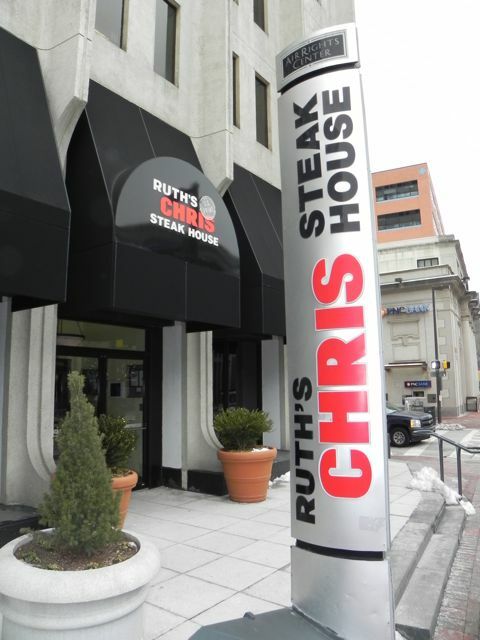 The venue for tonight’s meeting was Ruth’s Chris Steakhouse located at 7315 Wisconsin Avenue on the main level of the Air Rights Center. In spite of the stomach turning conversation about our legislators misguided attempts to regulate the mortgage business in order to eliminate the excesses of the sub-prime mortgage debacle, the steak I had tonight was one of the best, if not the best, I’ve ever had. Did I mention I love steak? Chocolate or steak? Hmmm it’s a tough call. How about both (more on that to come)! First a little background on Ruth’s Chris. The name is unusual but the story goes that the founder Ruth Fertel, at the age of 38, divorced and a single mother of two children, sees an ad in the local New Orleans classified for a “Steak House for Sale. $18,000.” Falling back on her vast experience in the restaurant business (she had none), she mortgages her home and purchases Chris Steaks with little more than her desire and a strong entrepreneurial spirit. A few months later the business is nearly wiped out by Hurricane Betsy but Ruth forged on. 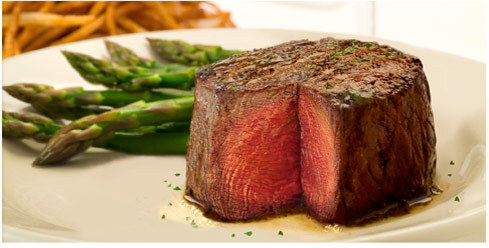 Forty five years later, Ruth’s Chris Steakhouse has become the world’s largest fine dining company. And fine dining it is. Ruth passed away in 2002 but her spirit and gusto for life live on in the company she founded on little more than a “shoe string and a prayer.” Having gone public in 2005, the company today has 100 locations all across the U.S. and in eight foreign countries around the globe. I ordered a Rib-Eye steak tonight that was so perfectly cooked I wanted to kiss the chef. Really, the flavor defined the term mouth-watering. The steaks and seafood here are legendary and for good reason. We were seated in one of their two banquet rooms (seat 20-60) and the ambiance here is unmatched, featuring soaring 20+ foot ceilings and deep rich wood paneling. You feel like you’ve just walked into an old-line east-coast country club or Harvard library. It’s a great place to host an event. Some of my personal favorites on the menu include the barbeque shrimp, sautéed New Orleans style in reduced white wine, butter, garlic and spices, and jumbo lump crab cakes. They should really issue you your own oven mitt here because the plates are hot enough to cook just about everything they serve (including your hands if you’re not careful). Of course no fine restaurant would be complete without an extensive offering of fine wines and Ruth’s Chris does not disappoint. Try the Sauvignon Blanc by Kim Crawford from New Zealand! We finished off the steak tonight with a sinfully good “Chocolate Sin Cake.” Yum. Steak and chocolate in one night and I did not even have to confess my sins at the Pearly Gates! This entry was posted on Monday, June 20th, 2011 at 10:09 pm and is filed under Food and Drink, Restaurants. You can follow any responses to this entry through the RSS 2.0 feed. You can leave a response, or trackback from your own site.